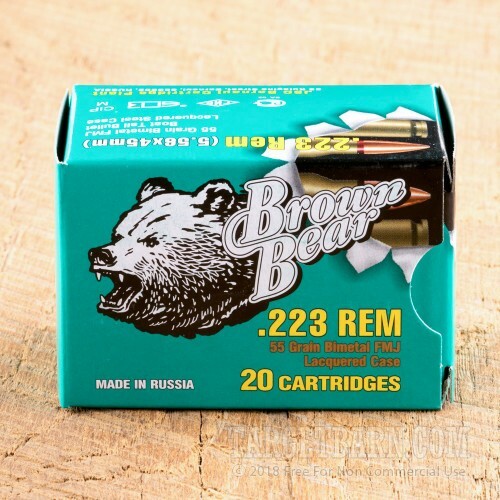 Brown Bear ammunition in .223 Remington is a great way to keep your AR-15 or other .223/5.56 NATO rifle well-fed at a reasonable cost. 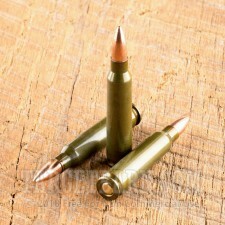 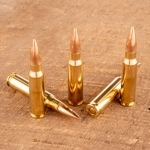 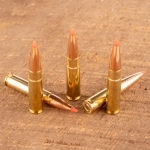 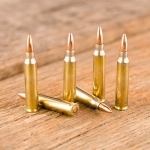 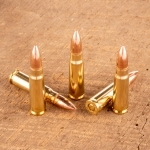 These cartridges come in a bulk priced case of 500 and fire a 55 grain full metal jacket bullet with external ballistics comparable to those of M193 ball ammo. The Barnaul Machine Plant in Russia produces the Brown Bear series. 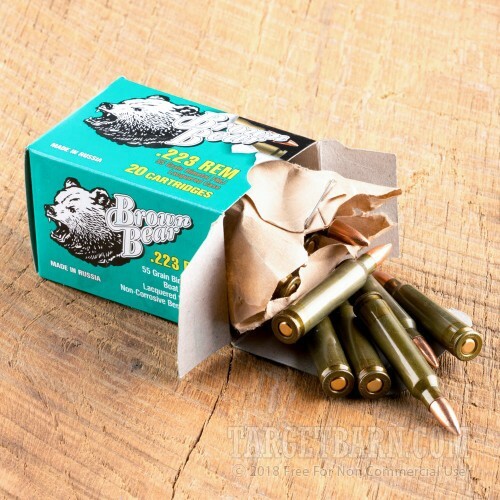 Brown Bear ammo uses non-corrosive Berdan primers and non-reloadable steel cases.